The Peace Pentagon is a conference and training center for Pluralistic and Progressive Programs. The Peace Pentagon HUB is a web directory and synergistic platform for Sacred Activism. The Peace Pentagon is the "HEART” of the Oracle Campus. 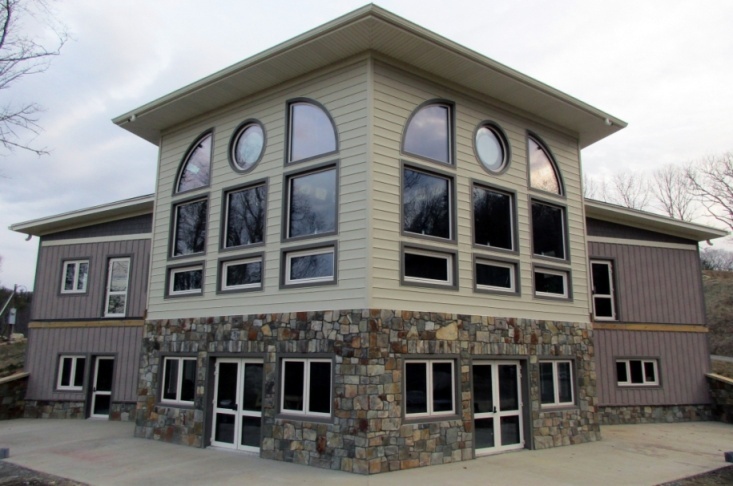 It serves as a retreat and conference center for guests who attend our progressive programs, and it serves as the community center for resident and non-resident members of our Valley of Light Community. The Peace Pentagon also is a virtual “HUB” for sacred activism in and around our Nation’s capital. The HUB serves as a portal for posting action events and critical news, and it is managed by volunteers who scan, map, and connect what is emerging in each Sector of Society. The War Pentagon is located in northern Virginia along the Potomac River. The Peace Pentagon is located in southern Virginia and it rests along the New River – the oldest river in the Western hemisphere. The Peace Pentagon reminds us that the arc of history moves toward justice and it serves as a laboratory for organizing and implementing national and global peacebuilding campaigns. A New Paradigm of Peace is Emerging! A new paradigm is emerging, one based on compassion, co-creation, and a culture of peace. The Peace Pentagon HUB is dedicated to promoting this more elegant and enlightened state of consciousness. Join the HUB and Meet Your Peers! Join the HUB and become a Member of an action-oriented community of cultural creatives, visionary leaders, and breakthrough organizations. The HUB is a sortable database - like an "Angie's List" for social progressives. The Become a Member page lists the features and benefits of membership. For example, HUB Members can post and promote their own Member Events which are open to the public. Join us at the Peace Pentagon and help build the new world!